Dancing Down the Aisle? Maybe. 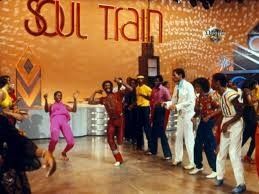 There is so much information for investors to digest this week; it could swing from feelings of running through a gauntlet of punishment to dancing to great music like the carefree fun of the Soul Train line. There’s big news scheduled for each session, which is sure to be peppered with (real) breaking news that will influence the market. Results for the last quarter of 2018 continue to pour in and continue to look better. According to Thomson Reuters, 61% of companies have beat on revenue, and 78% on earnings with the aggregate revenue gain of 5.6% and earnings 14.0%. I’m looking for big bottom line beats and above-trend higher guidance, especially for the second half of 2019. The US-China trade negotiations should have the largest impact on the stock market. Expectations have been tempered, but something concrete must come out of the meeting. That doesn’t mean a deal, but the kind of development(s) that suggest both parties are working toward one. Much has been made of China waiting to the last minute and other factors, including a weakening Chinese economy and the arrest of a major Chinese tech executive. In the end, this issue has lingered too long, and resolution is more about the long-term sincerity that moves both nations closer to free and fair trade. By the way, this week is the deadline for the U.S. to officially request the extradition of Huawei CFO Meng Wanzhou. This is more interesting, considering Canadian officials sound more likely to find reasons not to comply with such a request. The issue isn’t over, and initial signals suggest we could be back at this place in less than three weeks. I was hoping the Democrats would deal in good faith, as promised, before President Trump reopened the government, and suggested by Senator Schumer in the minutes after the White House announcement. The media were ecstatic at the notion Trump lost and appeared to be egging on Democrats to do it again. There is no regard to actual security needs at the border, fixing our immigration system, and how to finally resolve the Dreamers’ issue. This circus is all too fixated on political wins instead of wins for a country that needs to be focused on the avalanche of 21st-century challenges. The rhetoric is going to be hot and heavy. Let’s hope there is an effort somewhere to find compromises that bring solutions. Job and wage growths have been the best story in America for the past two years, and we can only hope it continues. Right now, I don’t see how it stops, although experts will talk about things such as late-cycle macroeconomics. They have been warning about that for the same two years that has seen growth strengthen, not wane. The initial jobless claims and other anecdotal research suggest a number greater than consensus of 165,000. There have been sessions where major indices closed closer to the highs of the session than the lows, but the former is the headline. Against this backdrop, I’m even more impressed with the action of the year. Make no mistake; there is no shame among the financial media, openly rooting for failure, and they will never admit being wrong. They were just early, as sooner or later, stocks must pull back. Forget about bias reporting. Let’s focus on a huge test for the major indices, which still haven’t snapped the series of lower highs since reaching record highs in the fall of last year. It looks as if the Dow needs to get through and hold 25,000 as support as the next big test. Earnings this week are off to a rocky start after top and bottom line miss at Caterpillar (CAT). The miss is clearly disappointing. It looks more like a sharp slowdown in Asia (read China) is the main reason, especially in construction, which declined from year earlier results. The U.S. sales pace also slowed from oil and gas demand in 2017 over 2016. Caterpillar’s upper end of guidance is in line with the street, so the 8% drubbing this morning might be overkill, but disappointing results are greeted with massive selling. Love your morning comments. Thanks and please keep them coming! So I believe for any negotiation to succeed, it requires offers from each side made in good faith. If one side has items that to them are non-negotiable, you compromise and counter offer. The Democrats could use this to make some serious headway for items they want in immigration law and yet they have drawn a line in the sand over 5 billion for a wall when our annual budget is over 4.4 trillion. This is clearly not in good faith. How so you say? Because looking at past history they are on record as have backed walls and funding of said walls. They have not offered ONE counteroffer that includes the Presidents one non-negotiable. They are doing this as a political tactic at the expense of our country. They are basically not a political party but a group of thugs that use bullying tactics. IF anyone wonders why Trump is loved and revered by his supporters? It's because Bush, McCain and Romney were no match for these thugs and never learned how to go win. Finally we have someone that doesn't care how he looks. All he cares about is results and he also is aware of how the operate and so he has adjusted accordingly. He has given American workers the first true hope about manufacturing jobs, regular jobs, more money left after tax cuts and that any thing in our broken system can work again. We needed a cultural warrior that said ENOUGH, no more! And one more thing. HE recognizes that his opponents are not the other side but the press. He has mastered taken to the woodshed every day by trolling them and watching them take the bait every day. He has revealed as no one before him how corrupt they truly are. God bless Donald Trump! I understand if you guys don't post this one... But I and I am sure every other subscriber appreciates your support of Capitalism and our country!